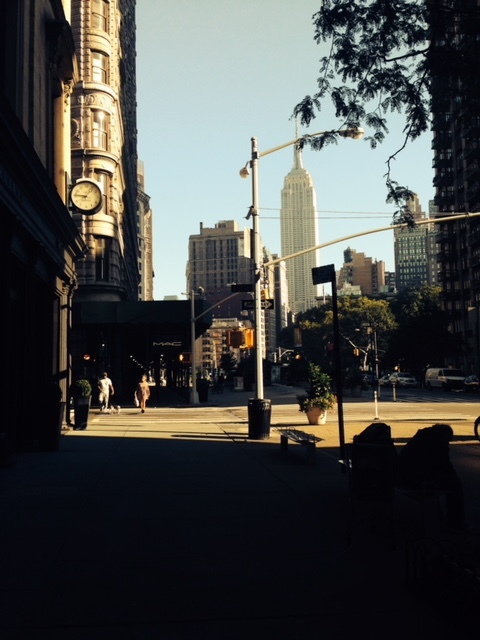 What is it like to live and work in New York City, a highly demanding and dynamic environment? What characteristics are vital to survive in a competitive metropolitan city that praises individualism and grit? 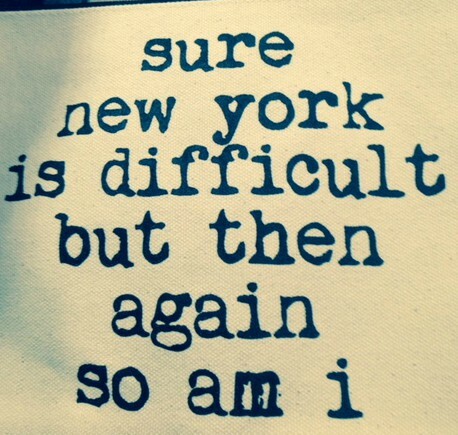 Can a certain New York spirit be transmuted to the Finnish life style and work ethics? A few weeks ago these were some of the things I talked about to a group of mothers in Helsinki. MiB – Mothers in Business, is a network of professional and career-oriented mothers that organize events, training and various workshops for their members. I got a chance to talk a bit about Funky Monkey Club but mostly the main focus was on my 16 years of living and working in New York City and how that experience has affected my approach to life and work today. I presented my speech in English. Turned out there were mostly women who had had their own experience abroad so we had some really fun and fruitful conversations about culture clashes. I revealed what my version of New York spirit is and how I have carried it with me to the Finnish mindset. Here’s some food for thought. I don’t think I would be a business owner and a kids’ music teacher today if I hadn’t had a certain eventful, long journey in the Gotham City. Now looking back and connecting the dots I conclude that there are four aspects that I have found crucial in surviving in NYC. Without these elements I wouldn’t be where I am now. These elements are a part of my essence today. The fact that I got so much positive feedback in New York changed me from a shy nervous nelly into a confident, happy and motivated woman who wanted to achieve big things by working hard. I realized this during my first year at the New School University jazz program when after a horrendous, flaw finding voice teacher that I had had in Finland there was now suddenly an American, encouraging, positive, up-beat teacher who praised me from top to bottom. Surely she would point out things that I should do better but the overall sense of everything that was going on in the classroom was positive: I heard I was talented, I heard I was an A+ student, I worked hard and became better and better every week. With that I finally grew to believe that I am actually a pretty good singer. I hadn’t thought like that in Finland at all. During all my study years at the New School I would get similar feedback from all my music teachers, and this tendency continued in my professional life. As I have been given these tremendous gifts of positive feedback, I am striving to follow that same example with people around me; I praise kids at Funky Monkey Club classes, I praise my voice students, my family, my customers, the people I work with, etc. I want to uplift people, and focus on their positive traits, rather than finding the flaws first. And I am being genuine, otherwise it won’t work. Praising people for what is done well is far more powerful than what was not done well. The benefits are enormous. When you give someone a compliment their performance improves, they become more motivated, they gain confidence and develop new skills and understanding. I encourage everyone to start giving positive feedback as a daily routine. You spread love around you – it makes you and the receiver happy. It’s a win-win situation. 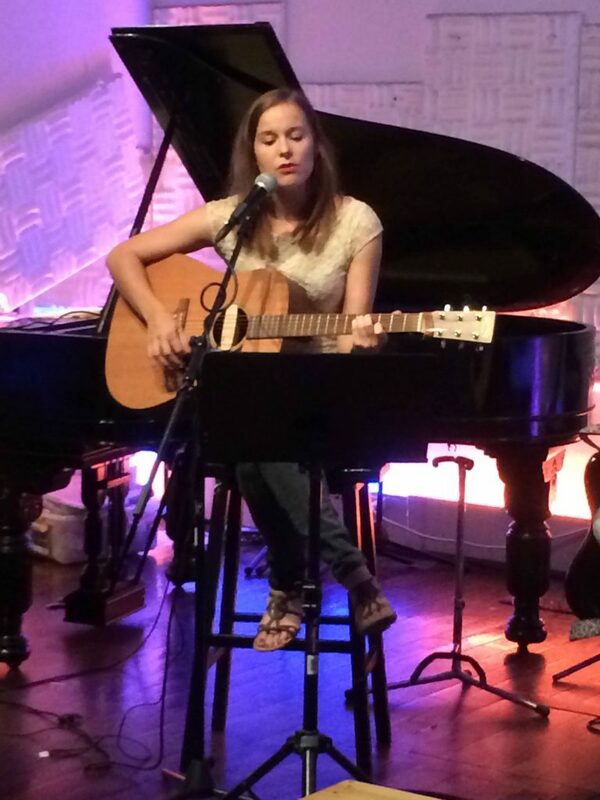 I was a singer, umpteenth in a dozen in NYC, and if I wanted to be unique I had to create a fresh angle to my singing. 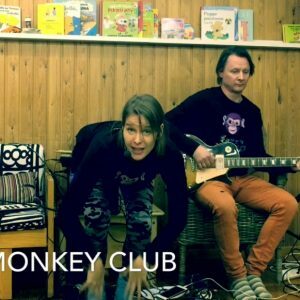 I ended up performing in a Finnish world music ensemble for many years and over these years we created a little buzz in the local world music scene. We got some wonderful concert opportunities and visibility in media. Our Finnish angle was unique and we took advantage of it. In the American individualistic culture people are encouraged to express themselves in unique ways. Children are taught to express opinions aloud from very early age. Independence, creativity and innovation are valued highly. I wanted to take this idea of uniqueness to my business. It is our way to stand out. I drew inspiration from my NYC kids’ music class work experience, I molded it to fit into the Finnish culture and used my creativity to reflect what I know best. In Finland we are born with a concept of modesty and blending in with the rest. I would like to challenge that idea and encourage everyone to acknowledge that all of us have a unique personality and life experience that can be seen as strength. Let yourself shine, and others too! DOES SMALL TALK WORK IN FINLAND? This topic created some giggling chats at the MiB event. As many of the participants had lived abroad they knew how awkward can some social interactions be between strangers in Finland. My point was that we should still be talking to people we don’t personally know; for example to other mothers as we relate to each other. One participant mentioned she had tried to talk to another mom in the children’s playground and that mother had escaped the situation as soon as the first words had been uttered. Chatting to strangers makes us feel uncomfortable. When living in NYC for years, and working in the hospitality business where your small talk proficiency is measured by the tips you get, I had to quickly learn the art of small talk. And I learned to love it! But in Finland I am constantly faced with challenges. I might start rambling aloud at the gas station counter about whether I should buy a chocolate bar or try to stay on a diet. The counter clerk would have a blank stare and think “why is this odd lady talking to me?”. I find these encounters rather amusing. However, I’ve found a place where I can still freely practice my small talk skills, and that’s at my business environment. My customers are mostly mothers (and their kids) and I enjoy opening casual conversations with them about motherhood ups and downs. Naturally I relate to their world as I am a mother to a toddler as well. Small talk is a way to create a personal bond. Small talk is often considered as superficial and trivial but it can work as a gateway to something more meaningful. I have found out that through authentic small talk I can win the trust and respect of my clients. New York City is a vibrant, stimulating place to live but it can cause a lot of stress and anxiety too. I was mostly a freelancer and had many jobs at the same time. I was never certain if my next pay would be secured. My private piano/voice students might suddenly cancel, other music classes might not sell well and the school would cut my work, the fire on subway tracks could prevent me from commuting and I would lose my shift, not to mention things like 9/11 or bed bugs evading my apartment. I experienced lots of unwanted “excitement” during my time in the city. At the same time it built my character. After hardships and obstacles I would always find my way out and up again – surely after some serious kicking, sobbing and raging first, but still. 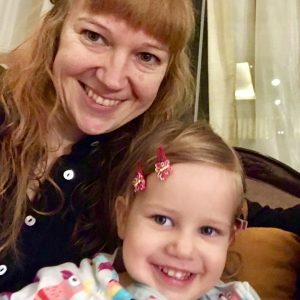 When I started the Funky Monkey Club in Finland I knew that taking a risk as a business owner would be tough but I would never feel equally consumed like I felt in my previous home country. I had learned to like the uncertainty and the risk because there was always a possibility for new opportunities. This approach has helped me with my entrepreneurship. At first I had thought I would leave my mark in New York City, but seems like it was more the other way around: New York City left a mark in me. I would not have thrown myself into this roller-coaster of entrepreneurship if I hadn’t had the valuable lessons in positive feedback, individualism, small talk and dealing with uncertainty. 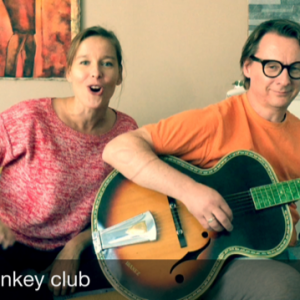 Find out more about Funky Monkey Club!